4 each: dinner forks, dinner knives, dinner spoons, teaspoons. This product ships as an assortment. The image shown is representative of the products available. The item you receive may vary in color. Please visit your local Walgreens for exact color selection. 100% satisfaction guaranteed When washing cutlery by hand or in a dishwasher, the handles of the flatware should always be kept upwards in order to avoid a "streaky" finish caused by deposits of water and washing powder. Always rinse with soap and water after each use and never leave food deposits or salt on flatware. Be sure to rinse the flatware before placing inside the dishwasher. Take care to follow your dishwasher manufacturer's explicit instructions when operating their machinery. Always remove your flatware immediately after the end of the drying cycle and polish with a soft cloth or towel. Do not use acid polishing liquids (i.e. any liquids containing lemon additives) especially if the chlorine percentage in the local water is high. When hand washing use hot soapy water, rinse in clear water and dry with a cloth. 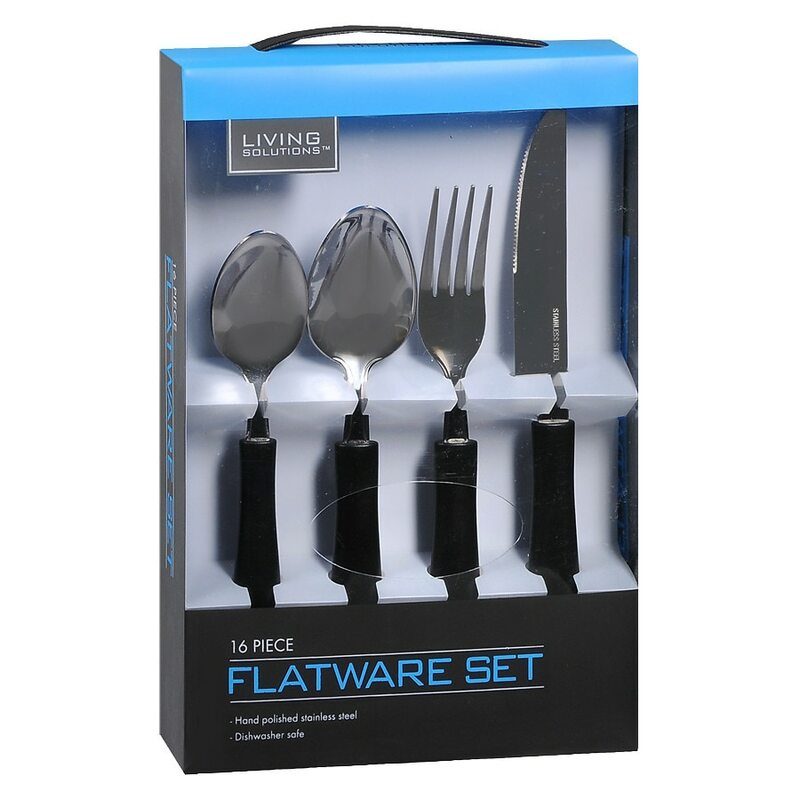 Do not use wire wool or abrasive pads when caring for your flatware. Do not mix stainless steel items and silver items in the dishwasher cutlery basket. Do not use silver polish on your flatware. Common salt, mineral salts (present in tap water), vinegar, bleaches and some harsh detergents can cause staining or pitting if left on the flatware without rinsing after use. © 2013 Walgreen Co.